Kristin Weaver Insurance Agency Welcomes You! 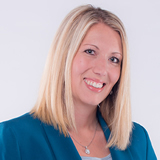 Kristin Weaver Insurance Agency specializes in providing home and auto insurance in Caro, MI. The agency is proud to offer insurance for educators through the Meemic family. Meemic was founded by teachers and has been serving the educational community for over 60 years. Customer satisfaction is our priority. Contact us about coverage options for your specific needs and find out how much you can save.